– Secured by key pad entry, motion detectors, CCTV and an interlocking sprinkler and pre-action smoke detection system. – Accessible to clients with remote inventory control and twenty-four hour live customer service. 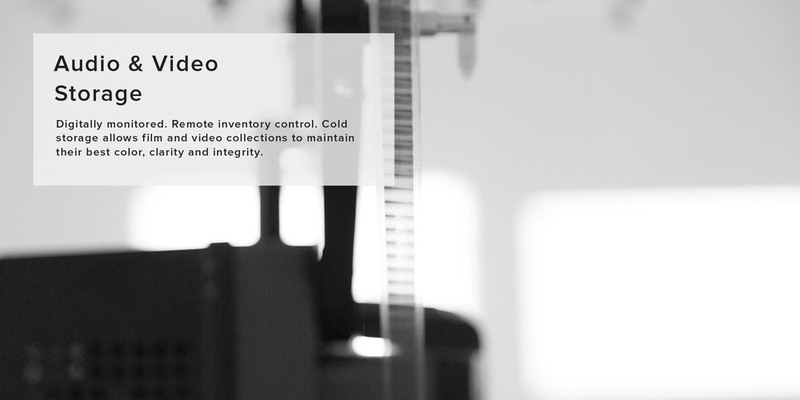 – Our clients include photographers, filmmakers, production companies and collectors who rely on our facility to protect their assets and personal items for generations to come.